Missouri’s new State Tourism Director has a clear idea of the task before her as she gets settled into her new role: Promote Missouri as a fun and inexpensive destination and get the promotion done without spending a lot of money. Katie Steele Danner says the Division of Tourism is going through what so many households in Missouri are experiencing – the need to get the most out of every dollar. “How can we do more with less?” asked Danner in an interview with the Missourinet. 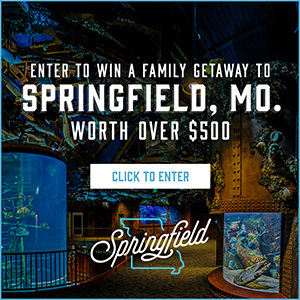 Part of the promotion that involves doing more with less requires the state to target certain Missouri destinations and events to locations throughout the country and beyond. “We need to be very strategic is those destination marketing plans and bring the effort up to the next level, utilize, obviously, the diversity of our state, and understand that some of the efforts that we’ll be making in one geographic area won’t necessarily work in another geographic area,” said Danner. The targeting can be done not only in markets outside the state, but inside the state, too. Danner says we don’t always appreciate what we have. The hope is that the economy will pick up and tourism will pick up at the same time. In the meantime, Danner’s sales pitch to visitors focuses on both what we have to offer and how it can be had at a price that won’t break the budget.